Andre Anderson, the new interim chief of the Ferguson police department, listens as Mayor James Knowles announces his appointment to the job on July 22. City manager Ed Beasley is to Anderson's left. Ferguson’s interim police chief is resigning after a little more than four months on the job. Andre Anderson, a commander with the Glendale, Ariz., police department, was appointed to the department’s top post in July for a six-month contract. He became the first black police chief in the history of the city, which is two-thirds African American. Anderson replaced assistant chief Al Eickhoff, who took over after chief Thomas Jackson stepped down following a scathing Justice Department report that found Ferguson officers repeatedly violated the civil rights of black residents. The resignation announcement comes on the last day of work for interim city manager Ed Beasley, who hired Anderson. 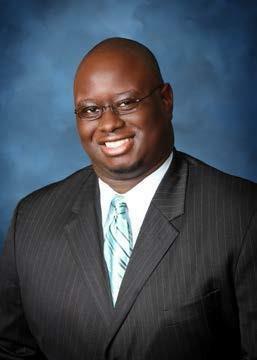 Earlier this week, Ferguson named former assistant city manager De'Carlon Seewood as its new, permanent city manager. In a statement, Anderson said many community-policing initiatives started in the last few months will “build a stronger relationship between the department and Ferguson residents.” Recently, the city held its first meeting with residents and other community stakeholders to create a neighborhood policing plan. -Implemented Problem Solving Meetings, where officers and community members utilize policing strategies to solve crimes. -Implemented a Community Engagement Team. -Implemented the Walk and Talk Program, where police officers openly converse with business owners and community members in to build stronger relationships. -Created the Faith Based Alliance where local chaplains and pastors work together to ease tension in the community. -Implemented Basic Leadership and Community Oriented Police Training. -Secured $600,000 in donated funding from TASER International which will support the Ferguson Police Department’s transparency efforts. The initiative will allow officers to participate in new and innovative technology methods, have access to advanced body cameras and electronic record keeping systems and provide officers with options to utilize less lethal ways to address potential encounters. When he was hired, Anderson said he would only be able to get a good start on, but not complete, the reforms suggested in the Justice Department's pattern and practice report during his six-month tenure. But at the time, he said he hoped he would be a candidate for the permanent chief. "But right now, I'll be honest with you, I'm not going to focus on whether I'm the candidate of the future," he said in July. "My focus is on building trust in the community right now." Ferguson Mayor James Knowles III praised Anderson for his "exceptional and innovative work," according to a statement. Anderson’s last day is December 2, and he will return to his post with the Glendale department. 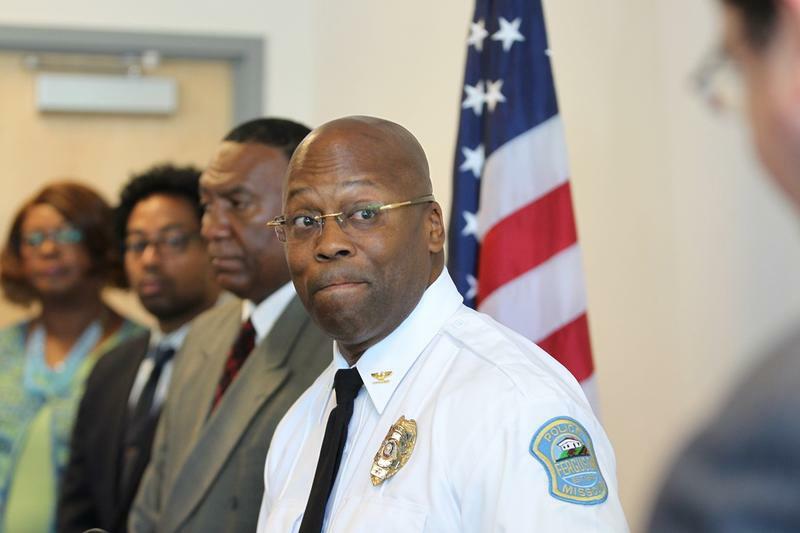 Ferguson will now begin a nationwide search for a permanent chief. Rachel Lippmann and Camille Phillips contributed to this story. 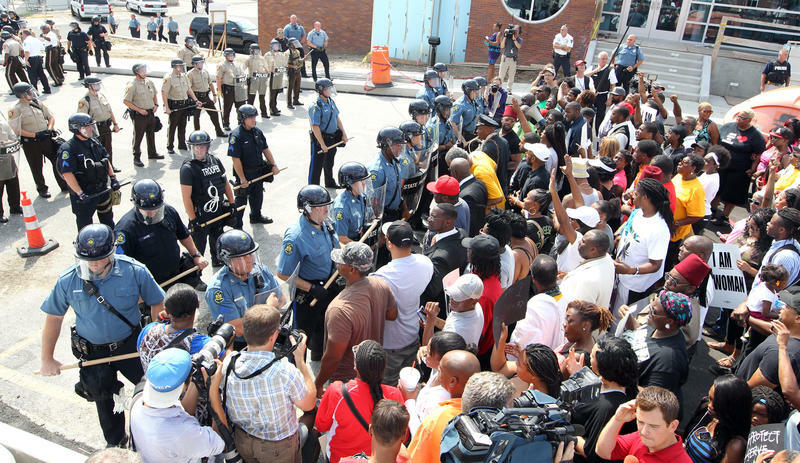 The Ferguson Police Department is asking the public how it should do its job. 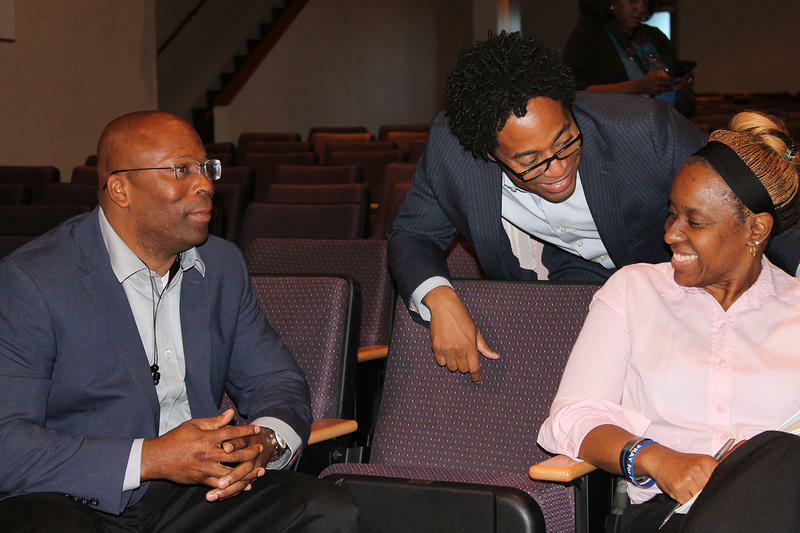 Ferguson held the first of several meetings Saturday to ask residents and other stakeholders to join a steering committee that will create a neighborhood policing plan. The idea is to build positive relationships between police officers and the neighborhoods they serve by creating a plan that will build positive community interactions. An upcoming conference on Ferguson has promised “not to re-litigate the past,” but organizers instead hope to draw lessons for the future on both the rights of protesters and the difficult job that police officers face when they put on their uniforms each day. “The Ethics of Ferguson – Policing, Prosecuting, and Protesting” is the name of the conference, which will take place at Harris-Stowe State University on Friday, Nov. 20. The new Ferguson city manager is a familiar face at city hall. De'Carlon Seewood is returning to the community after serving in a similar position in a Chicago suburb. He was Ferguson's assistant city manager from 2001 to 2007. Seewood has also served as city manager in Berkeley. 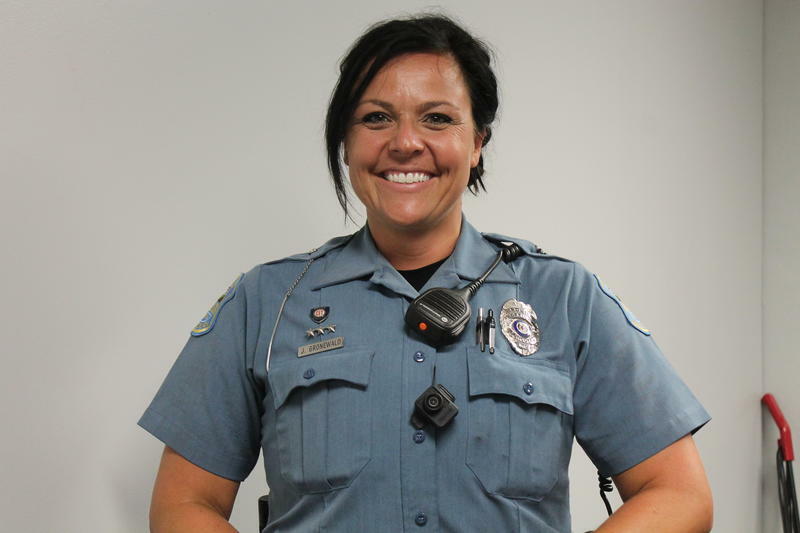 Jill Gronewald was two weeks away from starting her new job as a Ferguson police officer when Darren Wilson, a now-former member of that same department, fatally shot 18-year-old Michael Brown. A 24-year veteran of the Glendale, Ariz., police department will take the reins in Ferguson for the next six months. Ferguson Mayor James Knowles announced Wednesday that Andre Anderson, who has led Glendale's Criminal Investigations Division, will take over the 50-officer Ferguson department on July 23. He'll have the job for six months, replacing Al Eickhoff, who took over after former chief Thomas Jackson resigned in March. 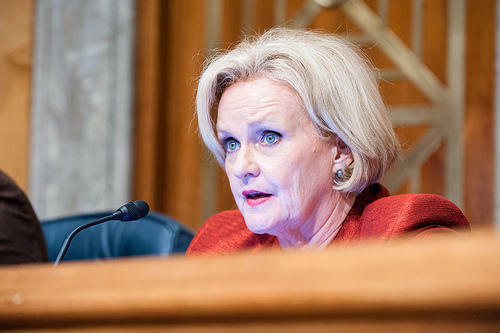 In response to the unrest in Ferguson last year, U.S. Sen. Claire McCaskill, D-Mo., is unveiling a bill to impose more control and restrictions on the equipment and money that federal law-enforcement agencies provide to local police departments. 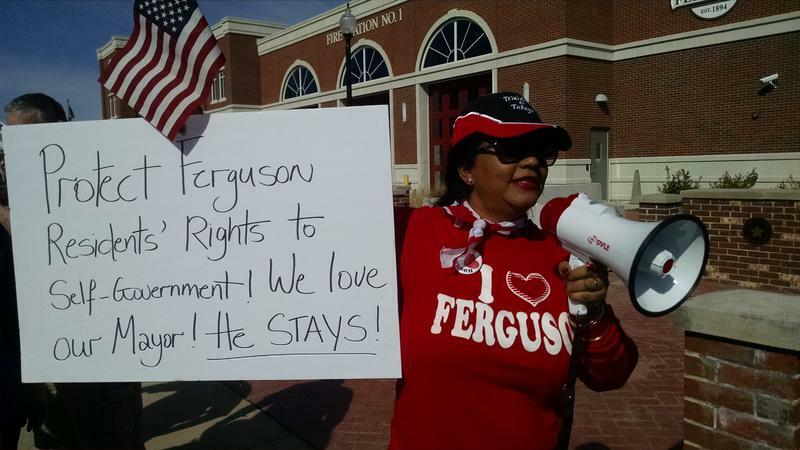 About 75 police and Ferguson supporters demonstrated outside the city's Police Department Sunday afternoon, protesting against hostility toward police and calls for the city’s mayor to resign.